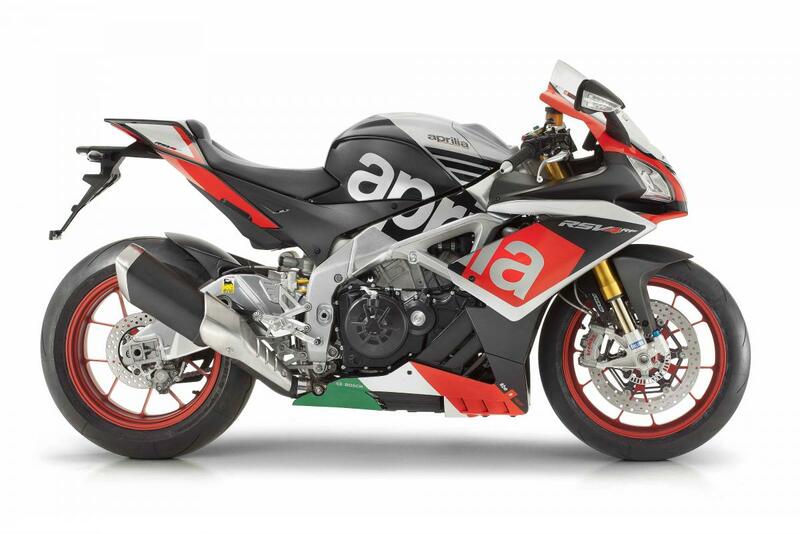 APRILIA has announced prices for its 2015 motorcycle and scooter line-up. The 2015 Tuono features a new 1100cc V4 engine that makes a claimed 175hp and has Aprilia’s APRC electronics package. Two versions of the bike will be available: the RR available in grey or blue at £13,134 on-the-road, and the Factory, which comes fitted with Ohlins suspension and forged wheels in ‘Superpole’ colours and will cost £14,634 on-the-road. The only RSV4 coming to the UK is the higher-spec RF edition, which comes with Ohlins suspension, APRC electronics, a revised 201hp V4 engine and ‘Superpole’ graphics. Available from March onwards, the RF will cost £18,134. With new spoked wheels, crash protection, LED auxiliary lights and hard panniers as standard, the new Caponord Rally will be available next month at £14,134. The sports-adventure bike will be available in Dune Yellow, Army Green or Safari Grey.